When Jodie Wyers lost her fertility due to cancer, it was a newspaper story about the world's first women to receive an ovarian tissue graft to her abdomen, that kept her hopes of motherhood alive. 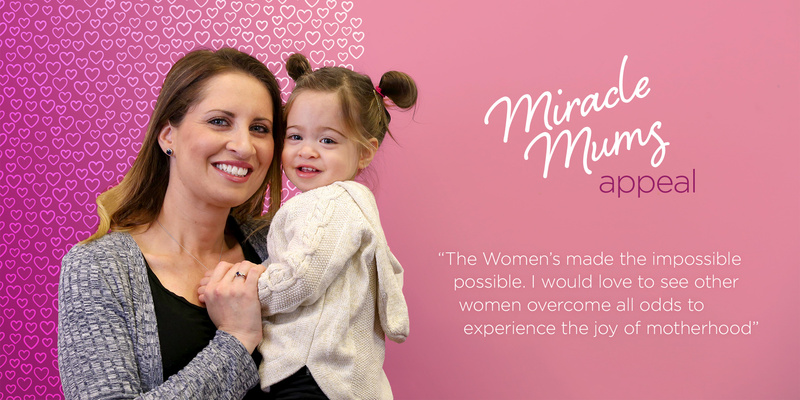 Please give generously to the Miracle Mums Appeal to fund world leading reseach at the Women's that will help more women become mums to healthy babies. A newspaper clipping sat on my fridge about Vali Creus who became pregnant after being left infertile and without her ovaries, from cancer treatment. After two different cancers, I too was infertile. I pinned my hopes of becoming a mother to that story. Luck would be on my side, just after being diagnosed with cancer the first time, I had been referred to the same fertility doctor who had been part of the team that led the world-first pioneering procedure at the Women’s hospital and Melbourne IVF, Associate Professor Kate Stern. At the time, Assoc. Prof Stern had been working on a project that involved ovarian tissue grafting: taking the ovarian tissue, storing it and regrafting that tissue into patients once they’d received the medical all-clear from their cancer. It was a scientific theory at the time, but Vali and Kate would make it science fact several years later. In 2013, I went back to see Assoc. Prof Stern and asked, realistically, what were our options? What could we do? So we had the graft put back in, and started very low and gentle dose of IVF. It was all very unknown with no guarantees. We didn’t expect too much – it sounded so far-fetched, to be able to grow ovarian follicles again that could produce eggs from tissue that had been in the freezer. The tissue was grafted back on or near the ovary; but I also had some grafted onto my abdominal wall. What ensued was an emotional roller coaster. Some cycles would get eggs and then they would fertilise, be implanted, but wouldn’t take. In other cycles we didn’t get any eggs. In the darkest moments it was the photo of Vali and her twin girls on my fridge, a woman I had never met, that kept us going. Then the day came, on my fifth cycle of IVF, I fell pregnant. If we hadn’t been given the opportunity to preserve ovarian tissue prior to all my treatment, we wouldn’t be in the position we are in now. We wouldn’t have our daughter, Evie. I would have lost all function of ovarian tissues through the treatment. The Women’s and Assoc. Prof Stern made the impossible possible. Evie is now such a bright and boisterous young girl, full of energy. She is her own little person and surprises us every day. I can’t imagine what our lives would be like without her. And today, another amazing step, meeting Vali for the first time. The person who, together with Assoc. Prof Stern, gave me so much hope. It really means the world to meet her, not only because she has been such an inspiration but because she has gone through the same experience as I have. I don’t think we’ll ever be able to put into words just how thankful we are to Assoc. Prof Stern and her team for what they managed to achieve for us. The research and the amount of effort and hard work that goes into these things is almost unimaginable and we are forever indebted to them. We would love for other women to experience the joy of motherhood against impossible odds. Assoc. Prof Stern is continuing her amazing work and we would love everyone to support her by giving generously to the Miracle Mum’s Appeal. Together with a committed team of scientists and clinicians, Associate Professor Kate Stern, head of the Fertility Preservation Service at the Women’s and Melbourne IVF, was involved in the pioneering surgery and fertility treatment that led to Jodie and Vali’s successful pregnancy. The scientific breakthrough proved “absolutely without a doubt” that a woman’s ovarian tissue could be used to grow fertile eggs when placed into the abdomen, even after cancer treatment and the removal of her ovaries. More than 100 women across the world have now had a successful pregnancy using the breakthrough procedure. “It was a huge scientific achievement and was the first time it was proven that you can graft ovarian tissue to a place outside the ovary, well to anywhere, and you can make that tissue produce decent eggs,” Assoc. Prof Stern said. Assoc. Prof Stern said there were three key challenges she hoped to overcome in the future through scientific research to enable more women to access such treatment. 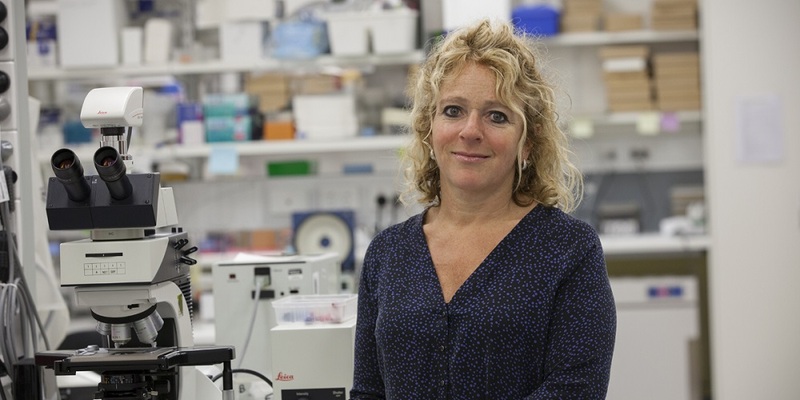 “The third thing we want to do is to make sure the grafting of ovarian tissue is as safe as it can be, particularly for patients with leukaemia and lymphoma,” Assoc. Prof Stern said. “There is always the risk that you’ve got tumour cells in the tissue of these patients so we’re currently undergoing some research to see if we can guarantee the safety of the ovarian tissue, free from disease. It will be another big step if we can achieve this. “And most importantly, we need to make sure that all young women who need fertility preservation have equitable access to the technology and the specialised care required. We specialise in providing care in fertility considerations for patients who have cancer or another health issue that puts fertility at risk. Vali Creus shares her story of being the first woman in the world to receive an ovarian tissue graft to her abdomen and give birth. She received her pioneering treatment at the Women's and Melbourne IVF.